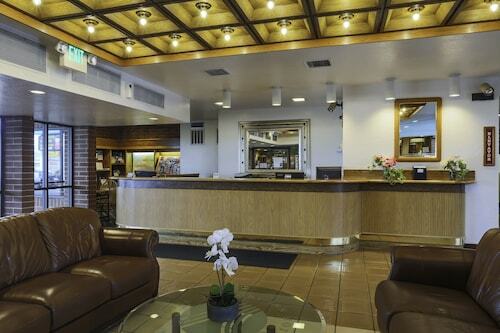 Built in the lavish manner of Europe's grand hotels, this downtown Salt Lake City hotel is 6 blocks from Temple Square, a mile from Salt Palace Convention Center, and 7.25 miles from the Salt Lake City airport. Located in Downtown Salt Lake City, this hotel is within 1 mi (2 km) of Rose Wagner Performing Arts Center, Salt Palace, and Temple Square. Capitol Theater and Vivint Smart Home Arena are also within 1 mi (2 km). Courthouse Station is 9 minutes by foot and 9th South Station is 13 minutes. 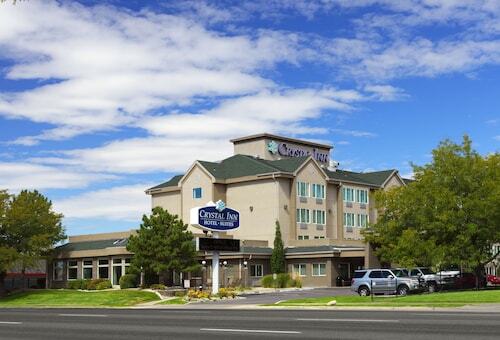 Convenient to shopping and cultural attractions, this centrally located Salt Lake City hotel is 1 mile from Temple Square, 3 miles from the University of Utah, and 7.5 miles from the Salt Lake City airport. 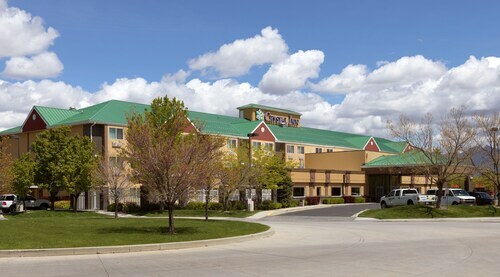 Situated in Sandy, this hotel is within 2 mi (3 km) of South Towne Center, Loveland Living Planet Aquarium, and Mountain America Exposition Center. Cowabunga Bay Water Park and Sri Ganesha Hindu Temple of Utah are also within 2 mi (3 km). South Jordan Station is 20 minutes by foot and Sandy Civic Center Station is 28 minutes. 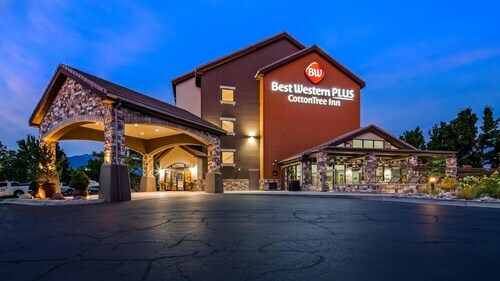 Situated in Woods Cross, this hotel is 2.7 mi (4.3 km) from Eaglewood Golf Course and within 6 mi (10 km) of Boutiful Ridge Golf Club and West Bountiful Golf Course. Elephant Rock and Whitaker Home Museum are also within 6 mi (10 km). 25 miles from downtown Salt Lake City and boasting ski-in/ski-out access, this slope-side hotel at Snowbird is 175 feet from the Village Center and the aerial tram to 11,000-foot Hidden Peak. 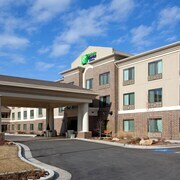 Situated in the suburbs, this hotel is within a 15-minute walk of Hale Center Theater and Maverik Center. Golf In the Round and Wairhouse Trampoline Park are also within 3 mi (5 km). Decker Lake Station is 13 minutes by foot and West Valley Central Station is 19 minutes. 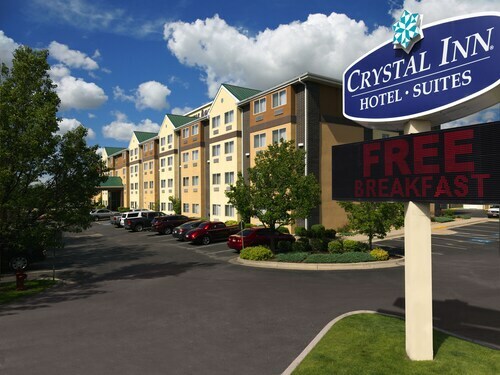 Conveniently located near the ski slopes, this Murray hotel is within 2 mi (3 km) of Jungle Jim's Playland and Fashion Place Mall and close to winter sports such as cross-country skiing and skiing lessons. Eagle Gate College and Desert Star Playhouse are also within 3 mi (5 km). 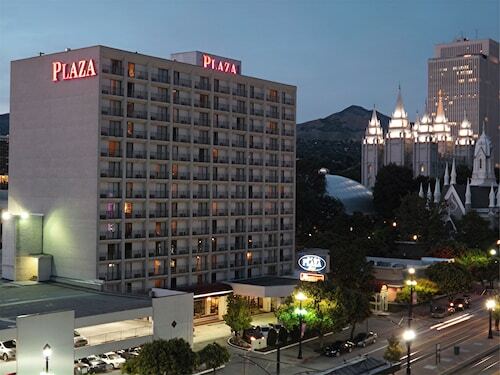 Located across from the Salt Palace Convention Center, this hotel is within walking distance of the Family History Library and Temple Square. Located in Downtown Salt Lake City, this hotel is within 1 mi (2 km) of Classic Cars International Museum, Salt Palace, and Capitol Theater. Vivint Smart Home Arena and City Creek Center are also within 1 mi (2 km). 9th South Station is 10 minutes by foot and Courthouse Station is 12 minutes. 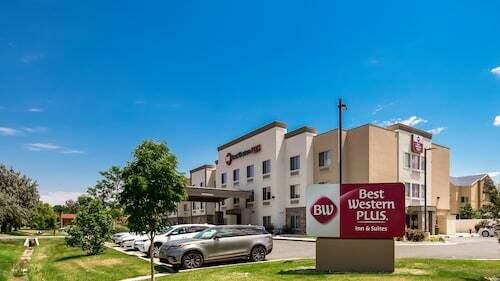 Situated in the business district, this hotel is 1.2 mi (2 km) from Wairhouse Trampoline Park and within 3 mi (5 km) of Desert Star Playhouse and Golf In the Round. Eagle Gate College is 2 mi (3.2 km) away. Murray North Station is 23 minutes by foot and Meadowbrook Station is 29 minutes. Are you looking for a break from the hustle and bustle of your day-to-day life? Do you want to escape reality and forget about your never ending to-do list? 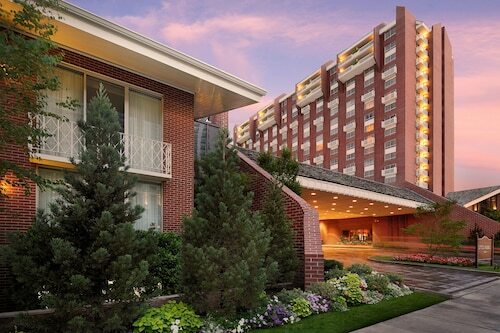 Then why not treat yourself to a relaxing stay at one of the spa hotels in Salt Lake City? 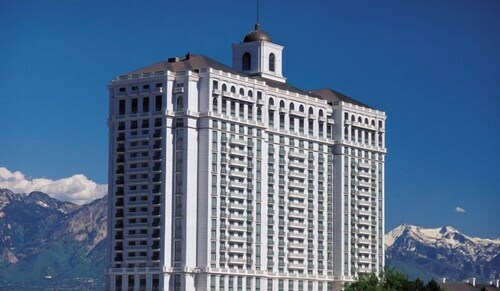 Whether it is for a weekend getaway or a staycation, book your visit to one of the Salt Lake City luxury spa hotels. With all of the amazing things to do around Salt Lake City, you will likely be worn out from sightseeing. 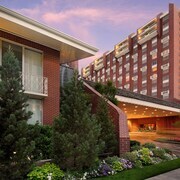 The Salt Lake City spa hotels provide top of the line facilities with hot-tubs, saunas and private treatment rooms. Treat yourself to an indulgent hot stone massage or facial to rejuvenate from a busy day. If that's not enough for you, indulge in a full day-at-the-spa package. And maybe you are just looking to reach maximum relaxation before a fancy night out on the town. Take advantage of the salon features offered at most Salt Lake City spa hotels and get a mani-pedi before your evening begins. Travelocity wants to help you relax and rejuvenate during your next stay in Salt Lake City, but we know that spa treatments can put some strain on your wallet. Bundle your hotel and flight together and save enough to pay for your facial! The room was pretty nice. On our first day, we were gone for four hours, but our room was not cleaned in that time. Should we ask about scheduling? The check in lady was very nice. The Barbara restaurant was not so good for breakfast, but the dinner was really good. Great free breakfast. Good service. No microwave or fridge in room and safe didn't work. Their airport shuttle service was fantanstic and the staff was fantastic as well. It was very nice to work with such kind people after a long and stressful day of traveling with a toddler. Front desk staff was very friendly and helpful. Room was very clean!! The welcome was terrific. I really appreciated Alex going above and beyond. Both he and the front desk manager were exceptional! Very clean, comfortable, and quiet. Would have liked a bathroom fan and makeup mirror.